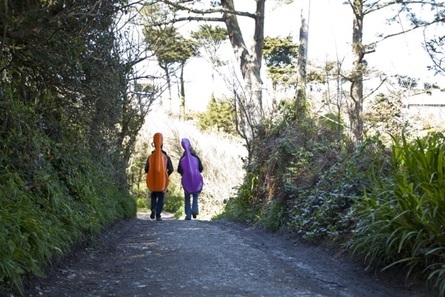 IMS Prussia Cove bring world-class classical musicians to smaller and community venues in Cornwall for the third edition of their South West Tour. The performance will feature Dvorak’s String Quartet No. 13 and Ravel’s beautiful Sonata for Violin and Cello, as well as works by Mozart and Kodaly. Jenna Sherry (violin) has performed at the Kennedy Centre, Barbican Hall and Aldeburgh Festival, and regularly plays with John Eliot Gardiner’s English Baroque Soloists. Susanne Schaffer (violin) has won prizes at numerous international competitions, and performs at venues including the Wigmore Hall and the Liszt Academy. Garfield Jackson (viola) is a member of the Endellion Quartet and as a soloist has appeared at the Southbank Centre, the Barbican and the Wigmore Hall. James Barralet (cello) has given recitals at the Wigmore Hall, Purcell Room and Bridgewater Hall, and has recorded prize-winning solo CDs.